Quayside Isle might just be my top spot for a lazy weekend brunch. While it’s slightly more troublesome to get to by public transport (take the monorail from Vivocity to Beach Station in Sentosa, followed by bus shuttle 3 to W Hotel), you will be treated to a host of restaurant choices, with a serene and picturesque view of the Marina. If you like chilling at Keppel Bay, you will definitely love this too! 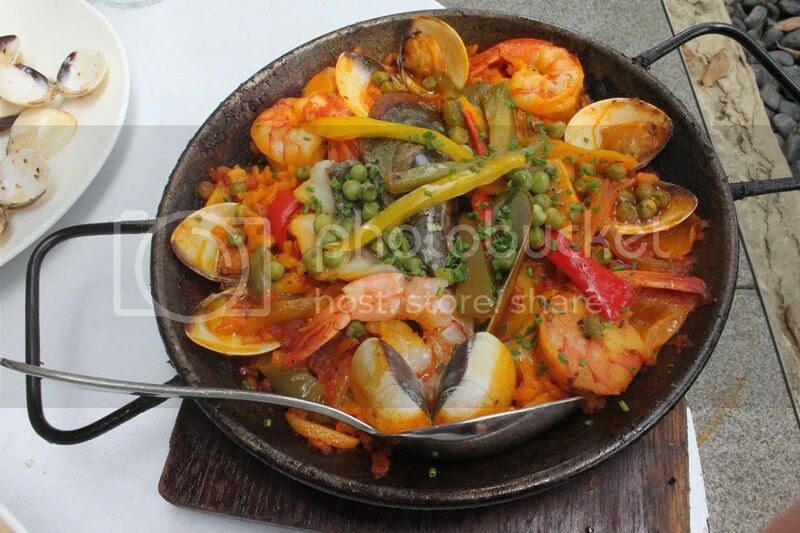 I simply love seafood, so I feel just at home with Spanish cuisine. While Sabio by the Sea has a weekend brunch set priced at $35++, which includes a basket of assorted breads and pastries, a main course and a choice of coffee or tea, I decided to go ala carte instead to get a better idea on the various tapas they have on offer. Tapas portions here are ideal for parties of 2-3 people. Between M and myself, we managed to finish 3 tapas, 2 mains, 1 dessert and 4 glasses of Sangria for lunch, if that’s any indication of how much to order. 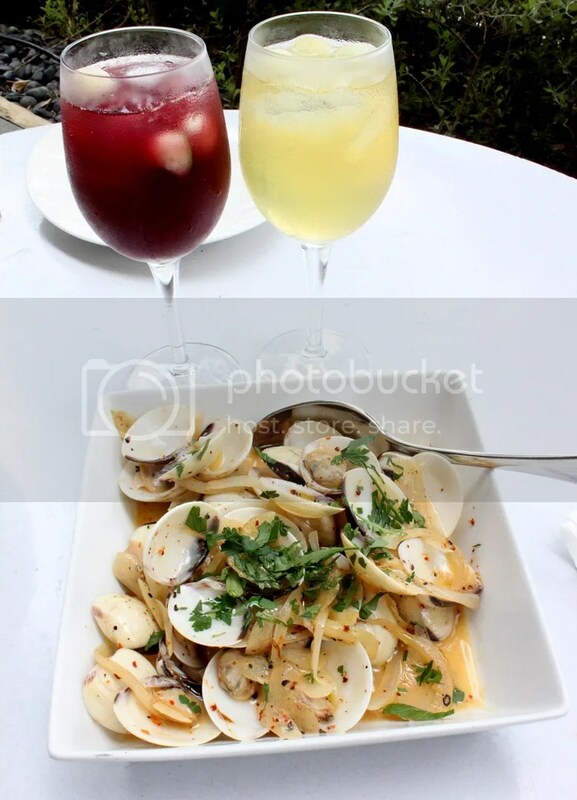 As Sabio by the Sea is one of the participating restaurants under the Palate Program, diners using Amex Platinum credit cards are entitled to 50% off food (but not drinks) when dining as a party of 2. Hence all in, our bill came up to $118 net, which is good value for money in my view. For the hot tapas items, the Sea scallops with sparkling white wine sauce ($18++) was pretty tasty and the buttery sauce did a great job complementing the scallops by not being overly seasoned and drowning it out. 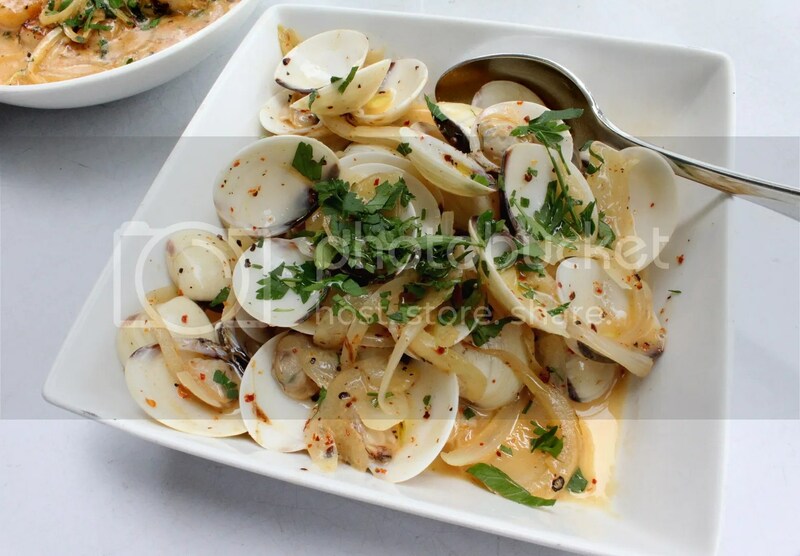 The Clams in White wine Sauce ($16++) was very decent as well. Simple dish done right. As the restaurant is not air-conditioned (few restaurants in Quayside Isle are), it can get pretty warm and humid by midday, which provides a perfect excuse to get down with Sabio’s White and Red Sangrias ($12++/glass). Between the two, both M and myself preferred the red one. It’s slightly sweeter and felt a bit less dry. 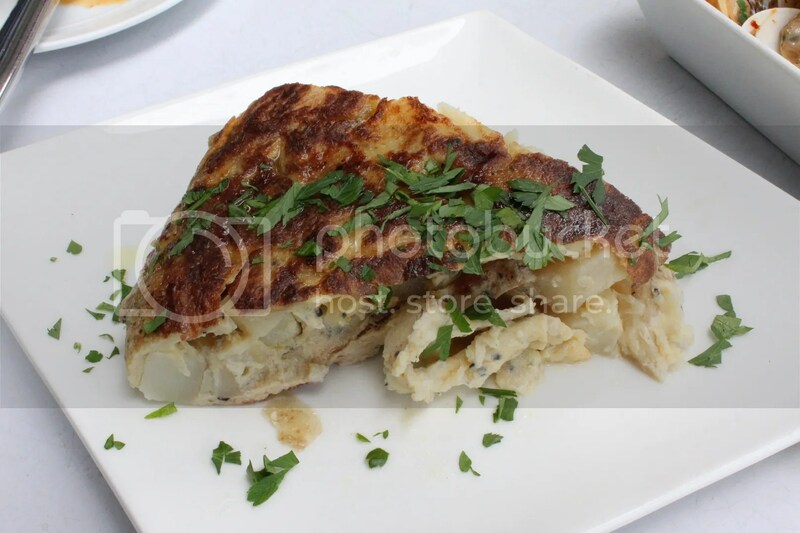 One of the staff recommended that we try the Tortilla Española ($12++), a traditional Spanish potato and onion omelette. The portion was generous but taste-wise, I didn’t think much of it. 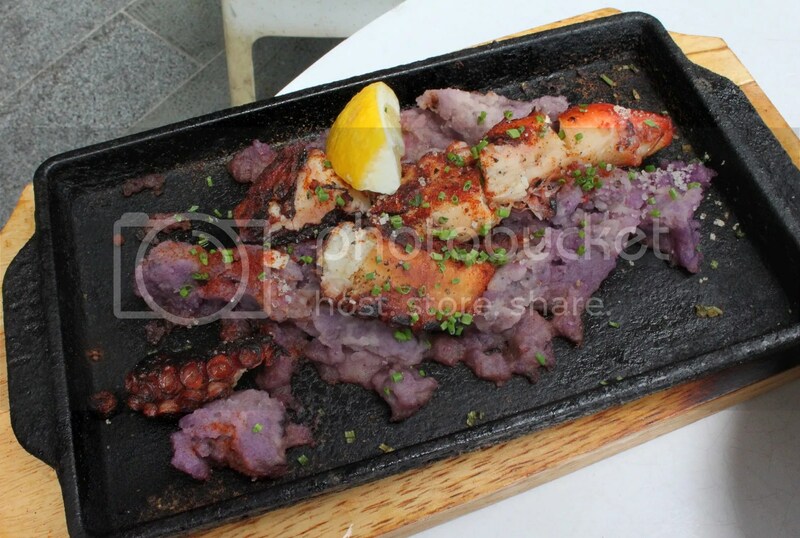 Most Singaporeans, myself included before I toured Spain and Portugal, have a very different idea as what what octopus should taste like compared to the Spaniards and Portuguese. So, I would recommend trying the Grilled Octopus leg with “Viola” Mash Potato and Sauce Paprika ($21++) here, which was pretty authentic. 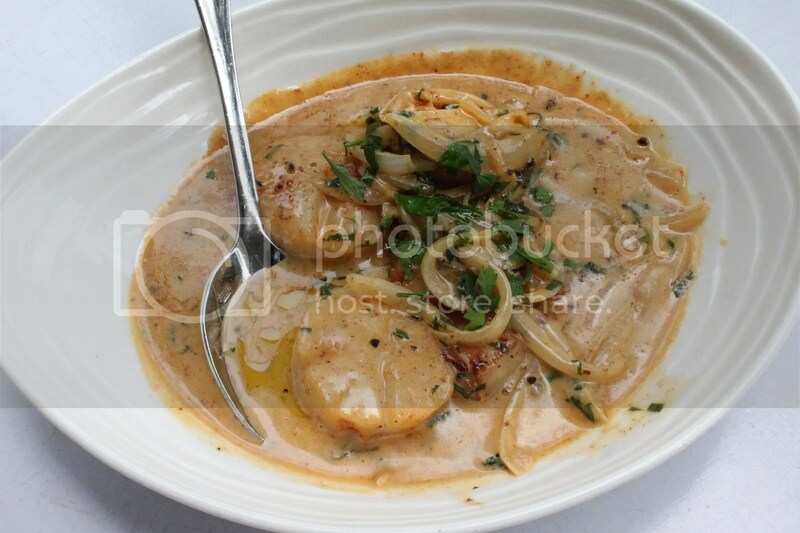 When cooked right, the octopus flesh will be less chewy than what you would come to expect with a slight briny taste. M mentioned that the light briny flavor reminded her of crab. There are 3 types of Paella served here. We opted for the Paella de Pescado, a seafood mix of Squid, Sea Bass, Mussels, Clams and Shrimps ($26++). It’s quite a common problem to find dry overcooked seafood in paella, so I was very pleased that this wasn’t an issue here. Other plus points was the very generous serving and the freshness of the seafood. To end off our meal on a sweet note, we ordered the Churros, which came with a Choice of Homemade Chocolate or Caramel Sauce ($12++). 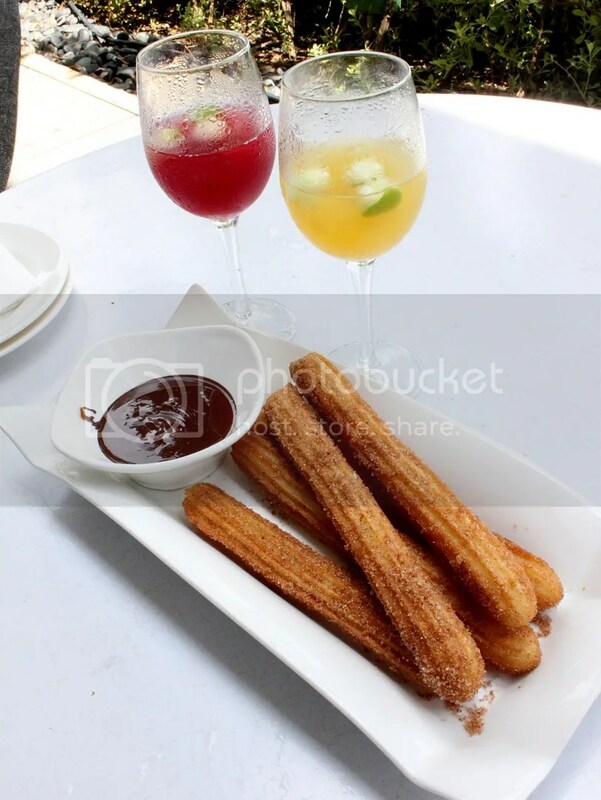 The surprising thing was how ungreasy the Churros was (for a deep-fried doughnut), compared to the Churros in other restaurants such as Salt Tapas Bar (which is still tasty nonetheless). Overall, I had an enjoyable Sunday brunch here. The food was above average and the setting couldn’t be better. My only gripe was that service was on the slow side and it was difficult to get the attention of the wait staff. 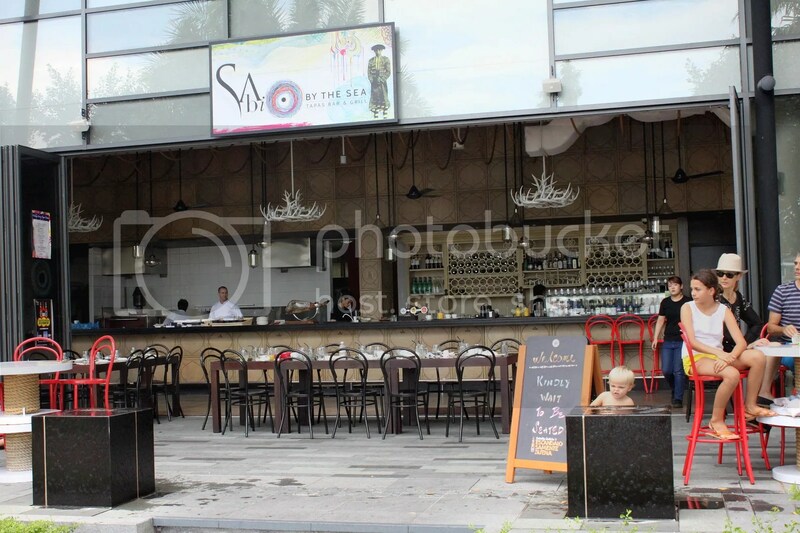 Categories : All YumYums in my TumTum, Cuisine Type YumYums, Invited Tasting, Location of YumYum, Seafood, Sentosa, Spanish, Yummy!